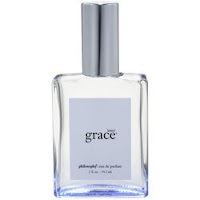 Inner Grace is your own personal heaven and was formulated with a scent to help bring peace and balance to your life. If you don't have time to meditate, Inner Grace offers an easy, one-second solution. SD Alcohol 40B, Fragrance, Water (Aqua), Tris(Tetramethylhydoxypiperidinol) Citrate.